British fighter Mark Godbeer has retired from professional MMA with a 2-2 UFC record. 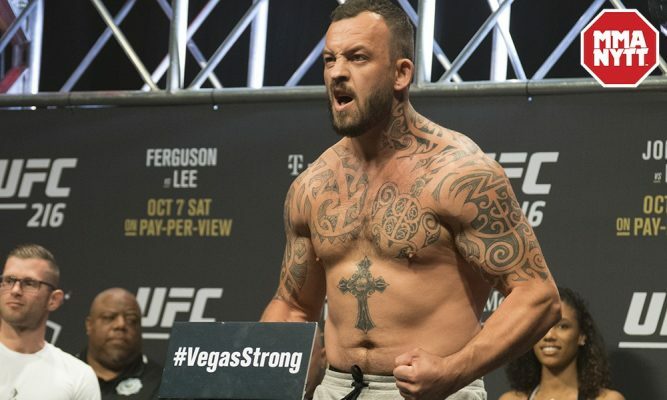 Former BAMMA champion and UFC heavyweight Mark Godbeer has retired from mixed martial arts at the age of 34-years-old. Godbeer, who debuted in the UFC in Nov. 2016, went 2-2 in the UFC with losses to Justin Ledet and Dmitriy Sosnovskiy bookending wins over Daniel Spitz and a DQ victory over Walt Harris. The man from Somerset was scheduled to face Luis Henrique and make his UFC light heavyweight debut on September 22, 2018 at UFC Fight Night 137, but he pulled out of the fight in early August citing injury and was replaced by UFC debutant Ryan Spann. The Brit announced his retirement earlier today on his Facebook page. Godbeer leaves the sport with a 13-4 record and reigned as the BAMMA heavyweight champion from June 2015 to May 2016.